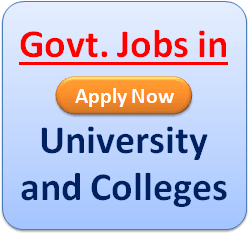 Jamia Millia Islamia (JMI) Recruitment 2019: Jamia Millia Islamia has recently publish an advertisement notification for Professor, Associate Professor etc. Posts vacancies jobs opening for December 2019. The JMI notification for the Professor, Associate Professor etc. Posts, candidates who are interested may apply in the prescribed application format on or before 22/12/2019. The total vacancies in Jamia Millia Islamia (JMI) Professor, Associate Professor etc. posts details are given below. The minimum educational qualification for JMI Recruitment 2019 for the Professor, Associate Professor etc. posts is given below. Candidates Should be Passed Ph.D. Degree Form Well Recognized University for the Posts. (For more details please check the advertisement). Professor – Rs. 37400-67000/- with AGP Rs. 10000/-. Associate Professor – 37400-67000/- with AGP Rs. 9000/-. Assistant Professor – 15600-39100/- with AGP Rs. 6000/-. General and OBC Category Candidates have to pay application fees Rs. 500/-. Candidates belonging SC/ST/Reserved Category have to pay application fees Rs. 250/- Paid through Bank Draft/IPO drawn in favour of Jamia Millia Islamia, New Delhi-110025. STEP–3: Read the JMI Advertisement carefully and be ready with the mandatory documents mentioned above and then click on “Register Offline” & fill up the Offline Application Form with all your details. 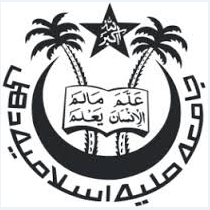 Jamia Millia Islamia (JMI) Recruitment 2019: Jamia Millia Islamia has recently publish an advertisement notification for Guest Teacher Posts vacancies jobs opening for September 2019. The JMI notification for the Guest Teacher Posts, candidates who are interested may apply in the prescribed application format on or before 23-09-2019. The total vacancies in Jamia Millia Islamia (JMI) Guest Teacher post details are given below. Starting Date to Apply Online Application Form: 2-09-2019. Last Date for Submission of Application: 23-09-2019. The minimum educational qualification for JMI Recruitment 2019 for the Guest Teacher posts is given below. 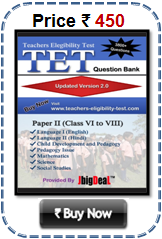 Candidates should possess Master’s Degree with at least 50% marks provided B. Ed. 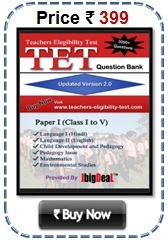 Degree or its equivalent (Please check full details in the advertisement). The candidates are required to apply . All details of this JMI Recruitment given in the Application Form. Therefore the candidates are advised to fill all details in the Application Form carefully. STEP–2: Click on“Careers” > “Recruitment” and subsequently enter on relevant post being applied. i.e. Guest Teacher Posts. STEP–3: Read the JMI Advertisement carefully and be ready with the mandatory documents mentioned above and then click on & fill up the Form with all your details.